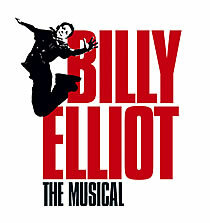 Set in the North East, Billy Elliot is a funny, heart-warming and feel-good celebration of one young boy's dream. The original story captured the hearts of people around the world when the movie was released in October 2000. This poignant film broke box office records worldwide and was nominated for a raft of awards including 3 Golden Globes, 3 Oscars and 13 Baftas. The original multi-award winning creative team from the film: director Stephen Daldry, writer Lee Hall and choreographer Peter Darling are joined by music legend, Elton John, the most celebrated UK singer song-writer of the last 30 years, to create the most eagerly anticipated musical of the decade. Please note This show is not suitable for small children as it contains some strong language.